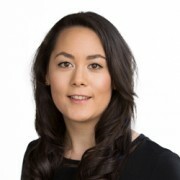 The recent case of Smyth-Tyrrell v Bowden  EWHC 106 (Ch) has shown how important it can be to formalise your property dealings in writing rather than relying on any perceived mutual understandings or beliefs. The Claimant would take a 15 year lease of the property. This would give the Claimant the opportunity to renovate the property and then lease the cottage out for short-term holiday lets in order to recoup the expenditure of renovation. The Claimant aimed to make a profit within the 15 years. The Defendant’s father saw this as a great opportunity to utilise an area of land which was, at that point, not generating income. Therefore, a 15 year lease with a rent of £400 per annum was granted. On taking possession, the Claimant began work on the property. The cottage was restored and letting commenced in June 1997. The Claimant then renovated the barn. Overall, the Claimant estimated that he spent around £170,000 on the property during the 15 year term. At the end of the 15 year period, in late 2008, the Claimant did not return the property to the Defendant and the Defendant did not seek to recover it. The Claimant continued to run short term holiday lets from the property. The Defendant’s father died in August 2012, and in June 2014 the Defendant served “notices to quit” on the Claimant requiring him to vacate the property by 24 December 2014. The Claimant responded by issuing this claim. 1. The tenancy was of an “agricultural holding” and was, therefore, protected by the Agricultural Holdings Act 1986. 2. The tenancy was a business tenancy under the Landlord and Tenant Act 1954, so the Claimant was entitled to a new tenancy on the same terms as the previous 15 year agreement. 3. The Claimant was entitled to an interest in the property through “proprietary estoppel” because they believed they would have an option to buy the property at the end of the 15 year term. 1. The Claimant’s first argument was quickly dismissed by the Judge as the purpose of the tenancy was for short-term holiday lettings, rather than any agricultural purpose. 2. The second argument failed for two reasons. The first related to potential subletting of the property, and is beyond the scope of this article. However, the second is quite simple. A Landlord can oppose a grant of a new tenancy under the 1954 Act if they can show that they intend to carry on the business from the property themselves. In this case, the Judge found that the Defendant had a clear intention to run holiday lets from the property themselves. at the end of the period, X does not follow through with the promise. Y can then rely on proprietary estoppel to say that it would be unconscionable for X to break the promise. The Claimant attempted to rely on such an argument because he said he believed there was a “common understanding” that one day the Claimant would be able to buy the property, and that the tenancy would continue until that time. The Claimant stated that this belief was based on the several occasions where the Claimant and Defendant had discussed the Claimant purchasing the property. However, the Claimant and Defendant had never agreed a valuation or a timeframe for a sale. Overall, the judge found that the Defendant did not promise anything to the Claimant beyond the 15 year term. Nor did the judge find that the Defendant was aware of the Claimant’s belief that they could eventually purchase the property. The Judge dismissed the Claimant’s claims as being “a long game to try and get the ownership of the land from their neighbour without letting on that this was what they were trying to do”. Regardless of whether the Claimant in this case was trying to “pull a fast-one” on the Defendant or held a genuinely mistaken belief, this case provides some very clear lessons. 1. Heads of terms for a transaction should be agreed in writing and signed by the parties. They should include all aspects of the deal. 2. If the Defendant agreed that the Claimant would have an opportunity to purchase the property, an Option Agreement should have documented this agreement. Having an agreement in writing provides a tenant with certainty that the property can be purchased at a later date. 3. 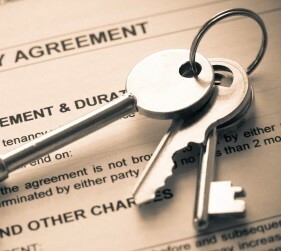 Landlords should ensure that the nature of the landlord/tenant relationship is recorded in writing. Situations where a tenant continues to occupy beyond the end of a term should be avoided. 4. In general, landlords should avoid making/relying on undocumented promises which could allow a tenant to rely on proprietary estoppel to claim a further interest in the land. If you are considering entering into a commercial or agricultural tenancy, Leathes Prior has experienced Commercial Property and Agricultural teams who will be able to help you understand all of your options. Alternatively if you find yourself in a dispute involving land or property, our specialist Property Disputes Team can help. Please contact us on 01603 610911 for further advice from any of our teams.